Submit your Passport at one of the below validation locations, online at passport.explorethebruce.com, or by mail to Explore the Bruce, P.O. Box 129, Wiarton, N0H 2T0. Please note: the T-shirts are only while sizes and quantities last. 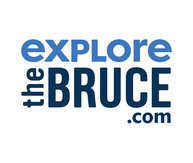 Don't forget to follow us on social media @explorethebruce.